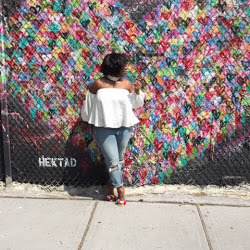 This is what I wore on day (3) while at #NYFW (Yup, this post is late). 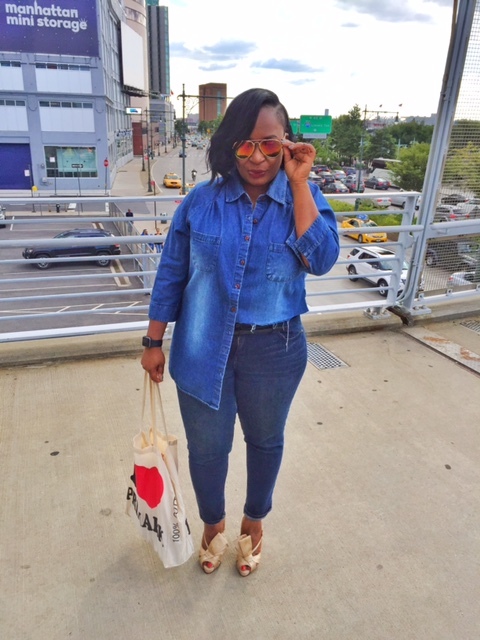 The interesting thing about this outfit is that I took this plain denim button down shirt and did a little DIY project from this FAB look (HERE). 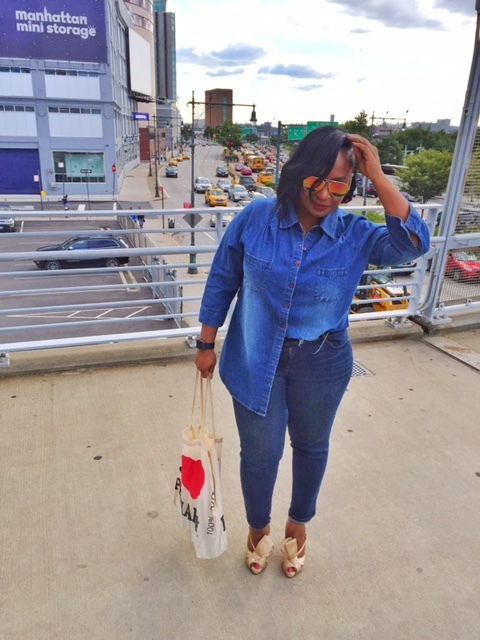 I call it the Hi-Low uneven-hem denim shirt. Trust me, This was easy to make. All you need is a ruler, marker and a pair of scissors to cut the shirt the length you want. I am going to play around with this top a little more to make the bottom of the shirt distressed to my liken.